Originally from Connecticut, Luke got into the hospitality industry bartending in Newport, Rhode Island while in college. He transitioned to working in the tech industry, where he and his partners built and launched "The Beer Exchange," an online beer trading and e-commerce platform allowing people to buy and trade sought-after beer. 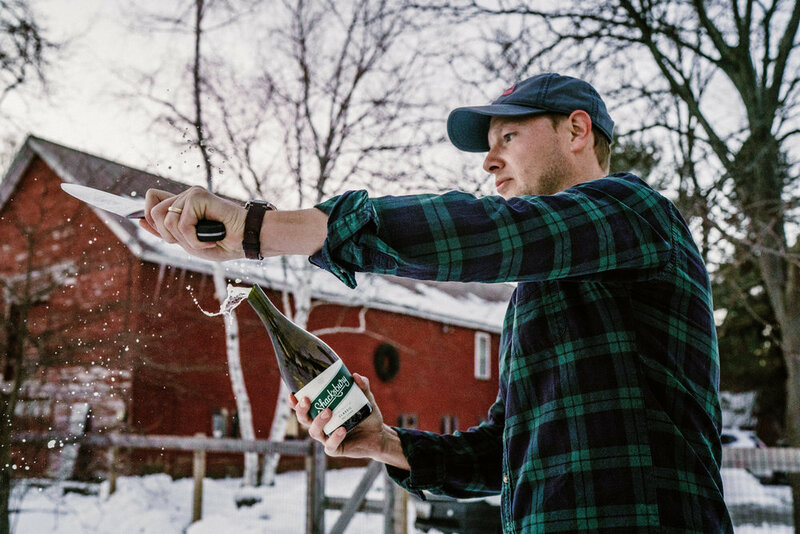 Growing up on a street named after an apple (Pound Sweet Hill Rd), down the road from one of the largest apple orchards in Connecticut, Luke has always had a soft spot for cider, and left the tech industry in 2015 when offered a partnership agreement at Shacksbury Cider. He is based out of Newport Beach, California, and focuses on Shacksbury’s strategic partnerships, collaborations, and social media presence. He returns to Vermont every Spring and Fall to run Shacksbury's Harvest and Grafting camps, where the Shacksbury team takes food and beverage professionals into the woods to forage for wild apples and back into the orchard to learn how to graft apple trees.